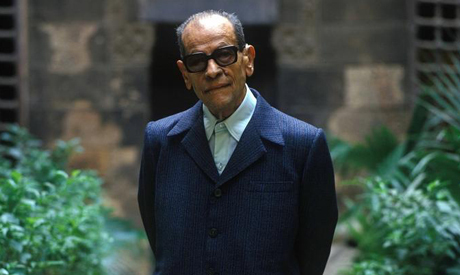 The daughter of the late Egyptian Nobel Laureate, Naguib Mahfouz (1911- 2006), announced plans to publish 18 unreleased short stories written by Mahfouz in the 1990's. Um Kulthum, the only surviving daughter of Mahfouz, said in a statement that the short stories were discovered by culture journalist Mohamed Shoair while he was working on a book that chronicles the publishing history of Mahfouz’s controversial novel Awlad Haretna (Children of Gebelawy). Shoair embarked on a multi-year mission of diving through thousands of archives, books, magazines, newspapers from the last 50 years to tell the story of the story, from the events that preceded the novel’s publication to Al-Ahram Newspaper’s serialization of the book in 1959, and the story of its banning and the critical reception of the novel. While researching through the archives, Shoair came across some of the short stories published in Nisfeldunia magazine, issued by Al-Ahram, right before the failed assassination attempt on Mahfouz in 1994. Most of the stories were published in Nisfeldunia magazine and some of them were included in the short stories collections he published later. After reviewing Mahfouz’s bibliography, he and Um Kulthum discovered that 18 of the 50 stories were not published before and were absent from the bibliography. Um Kulthum is currently looking for a publisher for the new collection, and a release date has not yet been announced. Shoair said that he hopes the collection is published by Mahfouz's birthday anniversary next December.